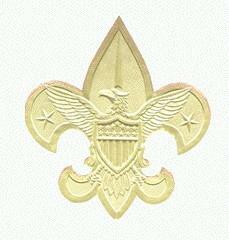 The fleur-de-lis symbolizes the fact the a Scout can always point himself to the best direction in life. 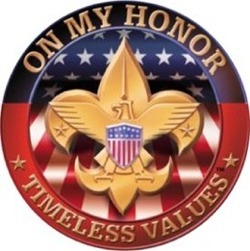 The three upper petals of the fleur-de-lis stand for the three points to the Scout Oath: Duty to God and Country, Duty to Others, and Duty to Self. The two stars stand for truth and knowledge. The Eagle stands for the freedom of the United States. 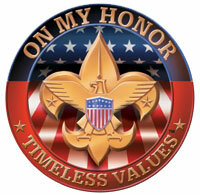 The shield on the Eagle represents a Scout's readiness to defend that freedom. The scroll is the smile on a Scout's face as he does a good turn. The knot reminds a Scout to "Do a Good Turn Daily".